Start advertising on the Stansted Airport Guide today! Please send your advertising requirements to: admin@omot.com or call 0844 816 0014. Alternatively you can visit our advertising platform, Omot and create your advert in just a few clicks! Can I advertise on the Stansted Airport Guide? 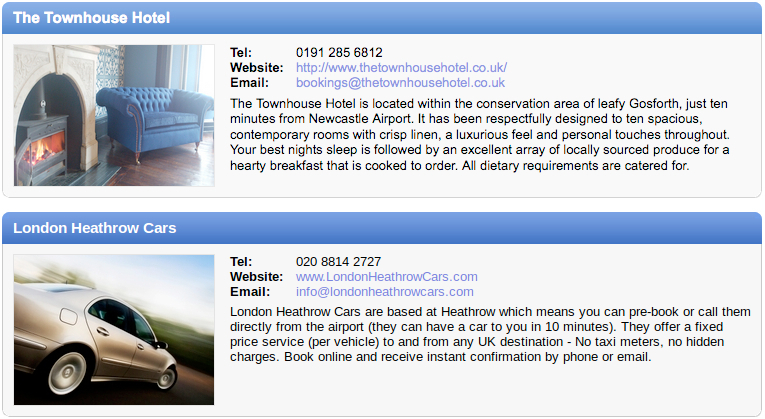 Taxi and transfer companies, for those needing a transfer either to or from Stansted Airport. Accommodation services such as hotels and B&Bs for those looking to stay in the local area or for people catching an early morning flight. What are the benefits of advertising on the Stansted Airport Guide? Here at the Airport Guides Network, we have been listing a range of travel related adverts for many years, with great success. With a range of advert types and pricing, you can find an advert with us to suit the size and budget of your business. The Stansted Airport Guide makes going through the airport simple, with all the information that the user needs to get around the airport and we strongly believe that local travel related businesses should be a vital part of the Airport Guide experience. Gain access to thousands of customers that are relevant to your business and location. A variety of advert styles to suit your budget – from our top adverts with great visibility and impact to our standard affordable adverts. Adverts tracked via Google Analytics. Specialist support on hand whenever you need us. Whether it’s help with the copy of your advert or you just need to ask us a question, we are here to listen. You are in complete control of your advert, with the ability to update your advert at any time! What do other advertisers think of the service? “We have been advertising across all the London Airport Guides for the past five months and have been really pleased with the response we have had in terms of the improvement to the traffic to our website and the bookings we have had. We also really like the fact that we are not tied into a long term contract with the Airport Guides, this has meant that we can now pause our advertising while we are so busy and come back to it at a later date when we need a boost! If you’re a taxi or transfer company interested in advertising on our guide, head over to our Stansted Airport Taxi and Transfer page. Hotels and B&Bs can view our Stansted Airport Accommodation page and Car Rental companies can head over to our Car Rental page. If you’d simply like to say hello to us or tweet us, find Stansted Airport Guide on Twitter.